Brent and I were feeling lazy and Amy’s strikes again. 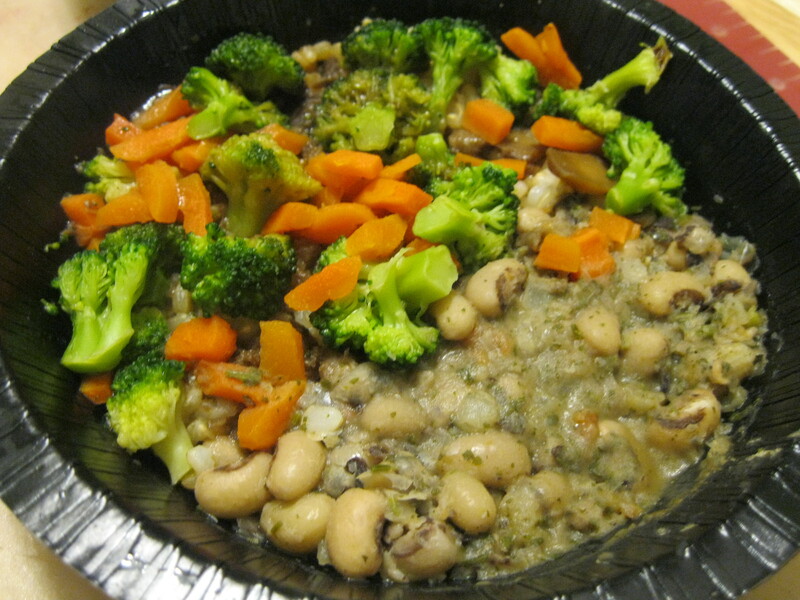 This time we’re trying the black-eyed pea and vegetable bowl. 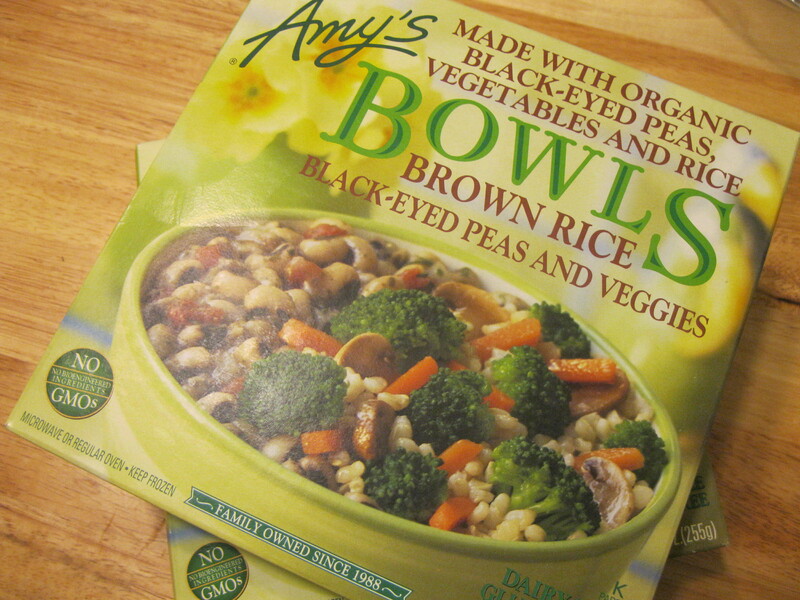 I’m a big fan of black-eyed peas: they offer the texture and flavor of beans but without as much gas causing power. TMI? I think so. Let’s talk about food instead. This particular bowl looked pretty good right out of the box. I’m a little bummed (as usual) with the sheer amount of packaging but it’s pretty earth friendly with the dearth of it being printed cardboard which is recyclable in most communities. 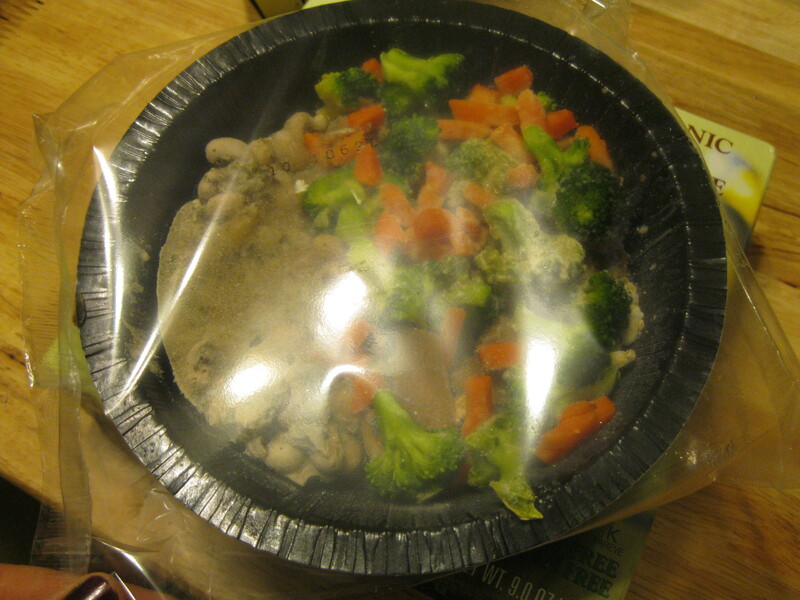 After microwaving we were greeted by something that’s rather attractive for previously frozen food. The broccoli and carrots were kind of mushy which was surprising given the color. The peas themselves were well seasoned (it was supposed to be a ginger sauce but I didn’t notice any ginger) but was definitely improved by the addition of our own condments: Brent chose sriracha and I used buffalo wing sauce. 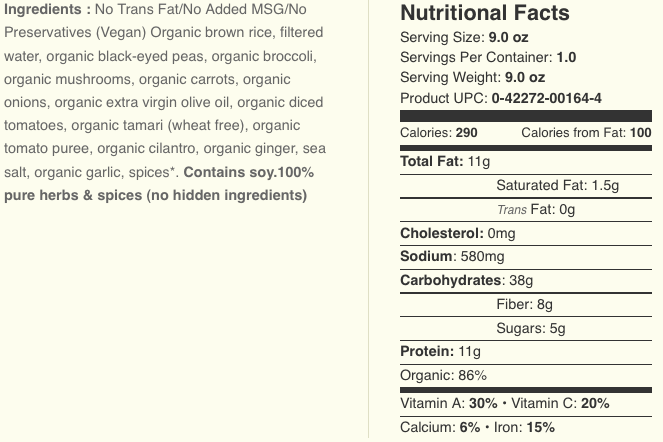 This is a good go-to for something with a decent nutritional profile, simple ingredients and versatile flavor. I love black eyed peas; damn those mushrooms though! If it weren’t for them I would love to try this.